Can You Lose 15 Pounds in 21 Days? - Project: Me! 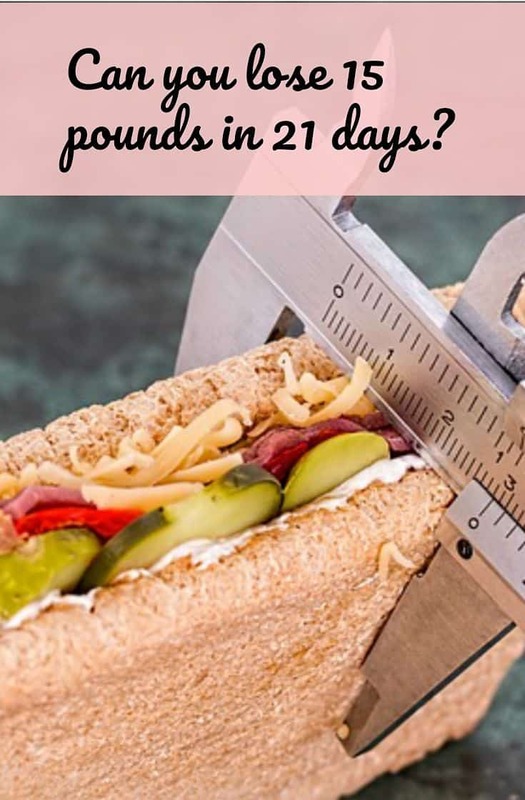 Home » Health and Fitness » Can You Lose 15 Pounds in 21 Days? Can You Lose 15 Pounds in 21 Days? I sure hope and dream so! Apparently, the 21 Day Fix claims that you can. And since everyone wants to lose 15 pounds in as quick as 21 days, people are intrigued with the 21 Day Fix. Well, I am. 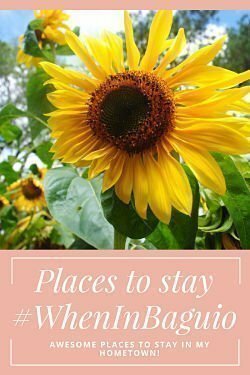 I could use some help losing some pounds that I gained after I graduated and started working. But could the 21 Day Fix be a sham? I guess you must have heard that it takes 21 days to successfully create a habit. Well, this is, more or less, the 21 Day Fix Diet’s premise. 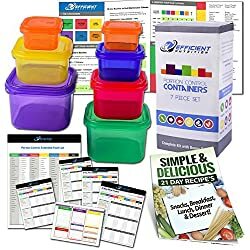 It is a diet that requires you to do regular physical activity and eat in controlled portions through these beautiful colored portion containers. Following these strictly will help you lose around 15 pounds in 21 days. READ: I am Vegetarian? How Can I Do Keto? 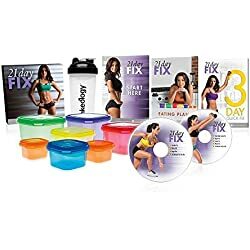 Like any other diet, 21 Day Fix involves controlling your food intake and working out which are the essential components to make you lose weight successfully. 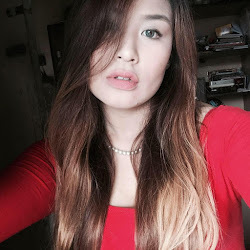 What makes the 21 Day Fix so special then that dieters, especially women are drawn to it? How will I know if I am eating over my portion allotment? Here’s how you can calculate for your specific caloric intake to know how much you can eat per day. Take your current weight, multiply it by 11, and add 400 (this represents the calories burned during your workout. The result you will get is your daily calorie intake needed to maintain your weight. Since you are trying to lose weight, subtract 750. For example, you are 150 pounds. You will need to consume a maximum of 1,300 calories to lose weight. Based on your daily caloric intake, the 21 Day Fix Plan assigns you a daily container allowance. For the example above, you are allowed three green (veggies), two purple (fruits), four red (proteins), two yellow (carbs), and one orange (seeds and dressings) per day. 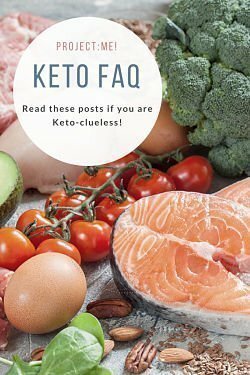 READ: Can You Do Keto Without Veggies? The guide breaks down each container with a list of foods that you can eat, making it very simple for you to follow and finish and lose 15 pounds in 21 days on the 21 Day Fix Diet. Purchasing the Plan includes two workout DVD with a schedule for a 30-minute workout for each day of the week, portioned containers, and an eating plan. How Long Can I Stay on the 21 Day Fix? 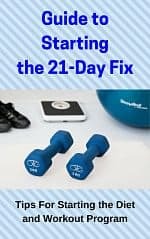 Like its name implies, the 21 Day Fix involves 21 days only. Hopefully, during the 21 days, you would have lost 15 pounds, and more importantly, you would have developed a habit of watching your portions and working out regularly. Don’t go back to your old habits! « Oh, Those Beautiful Colored Containers I Used on My 21-Day Fix Diet! 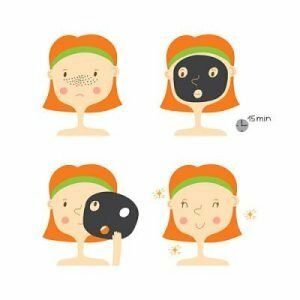 Are Activated Charcoal Masks Good For Your Skin?